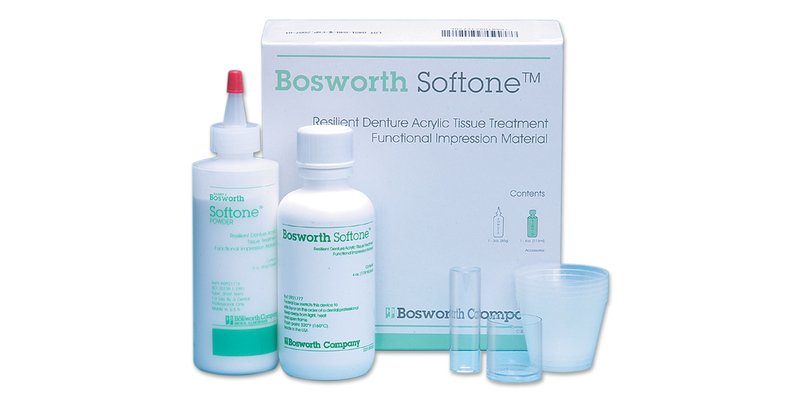 Tissue conditioner and functional impression material. Restores, conditions, massages and rehabilitates damaged tissue. Contains: 3 oz. powder, 4 oz. liquid, 1 glass liquid measuring vial, 1 plastic powder measuring cup, 5 disposable mixing cups.